Uriah Smith was a gifted church leader—a teacher, writer, editor, poet, hymn writer, inventor, and engraver. His family were Millerite Adventists, so at age 12 he experienced the 1844 disappointment. Around that time, his infected left leg had to be amputated above the knee. In later life he invented an artificial leg with flexible knee and ankle joints. Late in 1852 he became a Sabbath-keeping Adventist. Early the next year he joined James and Ellen White in Rochester, New York, in publishing work. Like Annie, Uriah was well educated and had turned down an attractive teaching position. In 1853 the Review published his first contribution—a 35,000-word poem entitled “The Warning Voice of Time and Prophecy.” When the Review moved to Battle Creek in 1855, Uriah became editor at age 23. For much of the next 50 years he served either as editor or on its editorial staff. 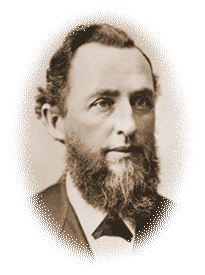 In addition to his editorial duties, Smith was elected the first secretary of the General Conference when it organized in 1863. He also was treasurer of the General Conference for one year, and he taught Bible for several years at Battle Creek College. He is probably best known today as author of Thoughts on Daniel and the Revelation. As Review editor, Smith became “pastor” to many isolated Adventists who could not regularly attend church services. His wit and his scholarship graced hundreds of articles and editorials. His public speaking also blessed many thousands. The last words he wrote, directed to the 1903 General Conference, were: “I am with you in the endeavor to send forth in this generation this gospel of the kingdom, for a witness to all nations. And when this is completed, it will be the signal for the coronation of our coming King.” At age 71, Smith died of a stroke on his way to the Review office.